Announcement Announcement: Digital files are now available for any invitation (birthday, wedding, bridal shower, baby shower, etc.). Just ask and I will create a listing for you! hi! thank you for visiting my shop! please look around and if you have any questions, don't hesitate to ask. please allow a few extra days for custom summer orders, we are in a temporary location and will be running full steam in the fall. if you happen to visit central pennsylvania, please stop by the greatest gift in carlisle, pa to see our prints! wholesale pricing is available! please contact jessa[at]madebyjessa.com. thanks! Announcement: Digital files are now available for any invitation (birthday, wedding, bridal shower, baby shower, etc.). Just ask and I will create a listing for you! Bridal shower postcard Invitation with confetti! 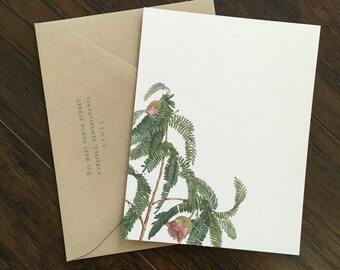 Excellent quality thank you cards. The paper and ink are high quality and they were the perfect thank you cards for my daughter's birthday party. These are the cutest cards ever. Goes perfectly with my bunny-themed shower. Thank you! new print in the made by jessa shop! I take great pride in the quality of my products. Attention to design, service and craftsmanship are priorities. If you are unsatisfied with your purchase for any reason, please let me know within 7 business days of receipt for a refund or exchange. returns are accepted in their original condition & packaging. All goods will be subject to an 15% restocking charge and will be credited at original invoice value only once goods are returned. custom wedding & stationery, posters or any custom orders are not eligible for return or refund. Once your order has been placed for personalization and deposit is received, custom orders may not be cancelled and the items may not be returned. I will do my best to proof files, however, the buyer is ultimately responsible for the final proofing and errors. Acceptance of merchandise or purchase constitutes acceptance of these terms. Payments must be received within (3) three days of purchase. All orders shipped to a PA address will be charged 6% sales tax (Philadelphia 8% and Allegheny 7%). Payments can be made through PayPal (no paypal account required) or etsy's direct checkout. Your goods will be packaged with care and shipped via ups/usps. Shipping details may change for custom orders. made by jessa is not responsible for lost or damaged goods. If you request a proof or additional proofs, please note that your order will not be produced until your approval is confirmed and can add variable time to original timelines. Additional charges may apply to international orders. made by jessa is open for custom orders. please message or email me with details. I look forward to working with you to create something you love!